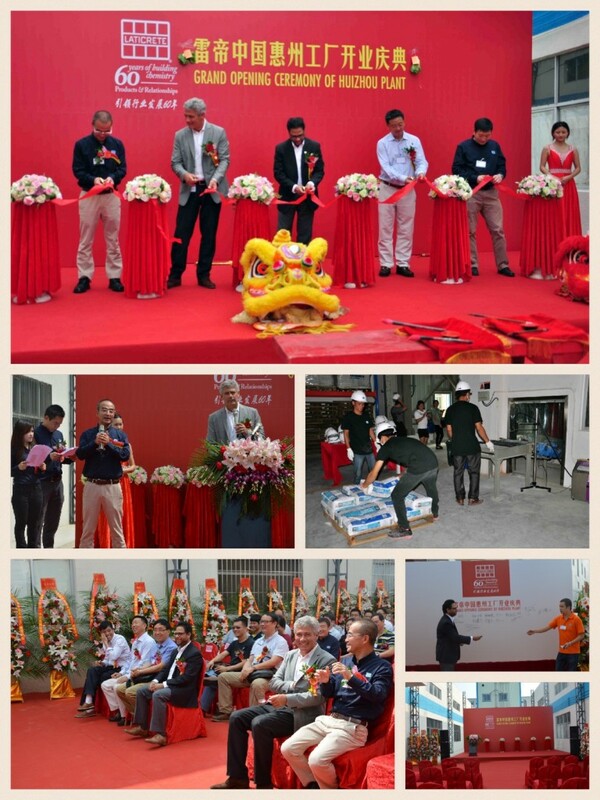 Laticrete International recently held a grand opening for its new factory in South China’s Huizhou City. This is the second factory in China and the 18th in the world the company has built. The company held an on-site ribbon cutting ceremony in the morning of Thursday May 12 with attendance of Erno de Bruijn, COO of the company’s global headquarters and President of the International Division, and Faisal Saleem, Vice President of the International Division together with more than 50 distributors from all over the country. The ribbon-cutting ceremony was followed by traditional lion dancing and festive fireworks. The plant is built to better serve the booming Pearl River Delta region by expedited delivery and reduced fright to customers and distributors in the region. “If taken as one entity, the Pearl River Delta region has overtaken Tokyo as the world’s largest urban area—by size and population—according to an analysis of satellite and demographic data published by the World Bank,” said Erno de Bruijn. “The new plant will alleviate the pressure of timely delivery from the China’s mother plant in Shanghai which has been operating 24 hours a day,” says Bill Qiu, Managing Director of Laticrete China. To meet increased demand, the company has planned to open another plant in North China early next year. At the luncheon hosted for attendees of the event, Saleem reiterated the confidence the company has in China and its commitment to continue to invest in the market. 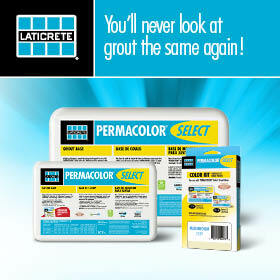 Laticrete China, a wholly owned subsidiary of Laticrete International, opened its first plant in Shanghai eight years ago and has since become a leader in tile and stone setting materials for both floor and wall system. Over the years it has become strategic partners with Wanda, Vanke, and Zhonghai and Huawei. The Disneyland in Shanghai, the Shanghai International Financial Center, the China World Trade Center in Beijing, Ping An Tower and King Key towers in Shenzhen, landmark buildings in their respective cities, are all built using Laticrete products and systems.